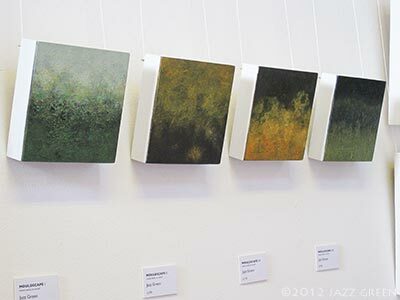 Artworks artist Jazz Green has some paintings in a new exhibition ‘Seven Ways’, featuring the work of seven contemporary East Anglian artists, united by friendship and their connection to the Waveney Valley. The seven artists in ‘Seven Ways’ are: Nell Close, Clare Cummins, Miles Fairhurst, Jazz Green, Richard Hunter, Dee Nickerson and Julie Noad. 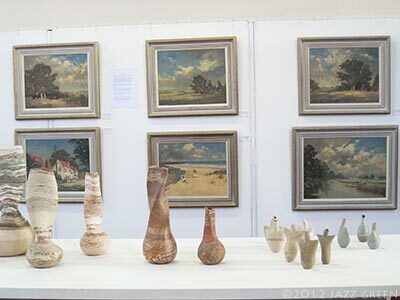 Here are some photographs of the exhibition. Seven Ways promises to be an engaging and eclectic art exhibition, showcasing the seven artists very different approaches – from gentle observations of country ways, musical elements of still life, scenes of nature, landscape and skies to bold abstract forms and textures of the earth. 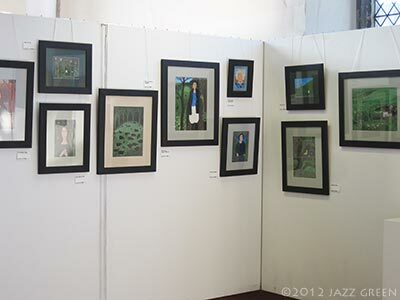 Jazz Green has been a member of Artworks since 2010. 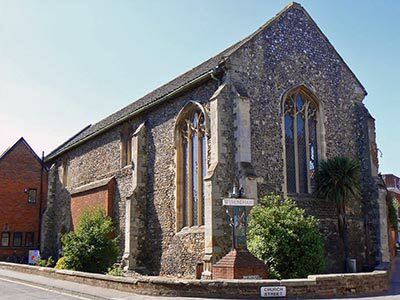 Wymondham Arts Centre is located in Becket’s Chapel, the second oldest building in the town of Wymondham, founded as a chantry in 1174 by William D’Albini, the grandson of William D’Albini who founded Wymondham Abbey. Read more about the history of Becket’s Chapel. 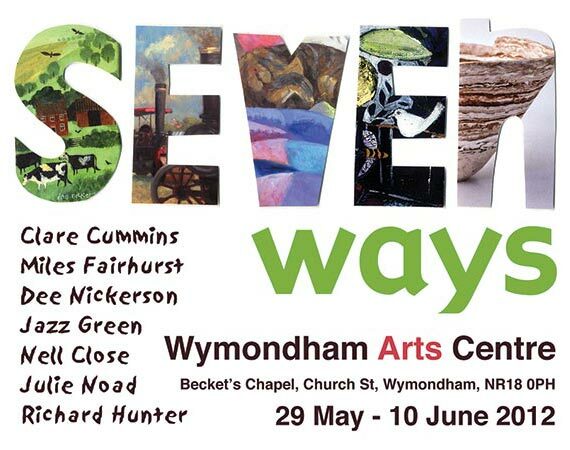 The exhibition Seven Ways at Wymondham Arts Centre is open daily from 29th May to 10th June 2012: Monday – Saturday 10am – 5pm, Sundays 12 noon – 5pm. This entry was posted in artworks news and tagged artists, east anglia, exhibition, norfolk, suffolk, waveney valley, wymondham arts centre on June 4, 2012 by admin.